It seems we were correct and WZ-111 Alpine Tiger made it to the North American server, all the way from Asia. 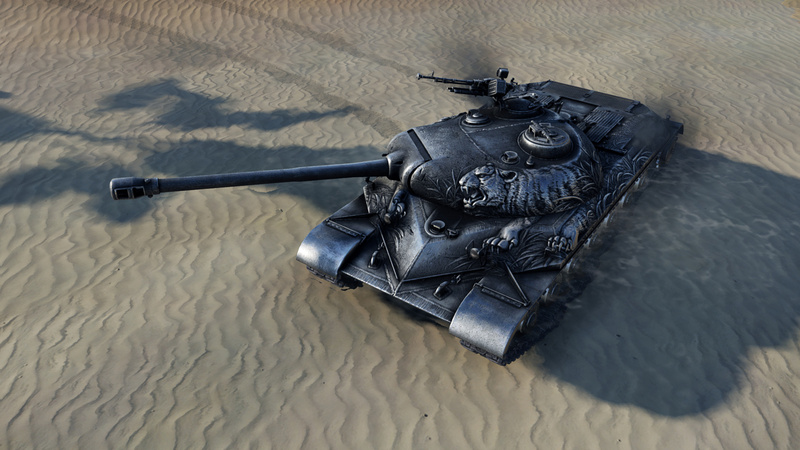 Jokes aside, WZ-111 Alpine Tiger is a special edition WZ-111 Chinese Tier VIII Premium heavy tank, if you are a serious collector or just want yet another Tier VIII Premium tank, you can now have your very own black edition WZ-111. The tank is available from $53.99 with a garage slot and in several different packages that range $69.99 to $94.99. Expensive if you ask me, for a tank that is mediocre for today’s meta and matchmaker. Why does wg hate eu so much? America and eu should have the same tanks for sale in the shop. Anything else is just lame. Dont take my opinion for granted but I think that NA server is a bit struggling with population (from what I have heard) so it makes sense somehow that they “have to lure” players more than EU. Yeah, that’s understandable. Problem with that is, its like trying to make you my client, I give you this nice shiny coin… Now that you are my client, I give you nothing more and all I care is about the new potential clients I can get. Thats how EU and other regions feel when they do things in one area, but not in others. In 2013 the game was already huge in EU and we still had nice events and things to look for every week/month. Now… not really. Sure it feels like you said and I cant say I happy about it either. Its just that I understand that NA can have something a bit better than EU (but anything is better than nothing). My selfish point of view (prem.acc. user, non collector) that Ill rather have populated server than opportunity to buy reskined tank we already have. I dont buy every premium tank they put up for sale but I like having the option to buy them. If NA players play on EU because the population there is low a tank is not gonna change anything. A premium tank is not the first thing a new player looks at either. The amount of bs like this we have to put up with is just crazy. I heard it doesn’t even have preferential matchmaking like the regular WZ-111. What a cherry on top, if it’s really true, that is. It seems you can’t notice true beauty when you see it… That’s the sexiest tank I’ve ever seen. Its actually considered to have one of the best HD models in the game and its extremely unique because of the releif texture thats modeled into the tank. It has 2 times exp compared to normal wz-111 which has 1.5 times exp. And this is perfect for crew training and it has preferential matchmaking. and i guess there is no discount if you already have the regular WZ-111. why pay WG a second time?